Back when I was a Graduate Assistant and teaching several college speech classes, I came across a statement that said “You cannot not communicate.” I don’t recall where I read it, but the statement still rings in my mind, years later. As individuals or as organizations, we are always communicating. The key is, are we communicating what we want to be communicating? Organizational communication should be consciously planned and executed for any initiative because what we are not communicating might communicate more about us than what we do communicate. Thinking they have communicated enough. Telling employees something a few times is not enough. Explore the use of greater frequency and different media. Make the information available in many places. How many times do we search for emails because we know something was communicated there? It is a time waster! Where else and how else can the message be communicated, so that it can be easily found later or picked up by newcomers? One organization I worked for had an internal site for news and messages on various topics, but the search feature was poor. How effective is that? Are you really communicating how and what you want to be communicating? Failure to communicate how they are implementing employee ideas. Over the years, I have helped scores of organizations design and implement organizational improvements including new structures, new performance and appraisal systems, work teams, cross functional improvement teams, virtual teams, and a host of other employee engagement initiatives. An opportunity for improvement that I saw in most organizations was that they were not doing a good job of letting employees know all the good things they had implemented based on the work of the employee engagement. People or teams like to know that they make a difference and are being heard. How well does your organization let employees know about what problems you are solving and what ideas of employees are being put to work to make the environment better for all? This is an important and sometimes-overlooked aspect of change management. 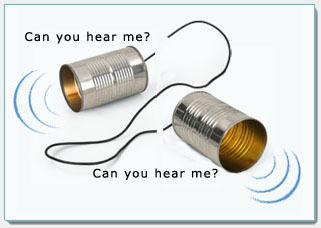 You cannot not communicated. How can you better and more consciously plan your communication? This entry was posted in Blog and tagged Best Practices, communicate, communications, implement organizational structure, organizational improvements, work teams. Bookmark the permalink.